Even after seven weeks, it hasn’t gotten any easier to believe that Hannibal is a show currently airing on network television. Perhaps it’s the show’s dire ratings that have prevented a class-5 $hitstorm from getting kicked up, but were it doing Following numbers, it’s guaranteed you’d be hearing outcry about Hannibal’s existence from more than just stuffy shirts in Utah. Bryan Fuller is running his writers room like a nightmare factory, with each episode’s exquisitely designed murder tableaux adding a new flavor to the season’s selection of memorable horrors. Taking any musician’s fear of choking on stage a bit literally, this week’s macabre masterpiece presented a symphony orchestra trombonist taking center stage, a cello neck shoves down his own, the skin of his neck flayed open like a barn door, to expose rigid, strummable vocal cords. That’s some seriously messed up business right there, but that shouldn’t be a deterrent to viewers. It’s pretty well established that people will flock to programming that’s visceral and nasty, even on TV, so why have so few chosen to give Hannibal a chance? As yet, NBC hasn’t said a peep with regard to the commission of a second season (though rumors of other networks showing interest provide cause for hope), and their position is understandable when you look at the show’s dismal ratings. 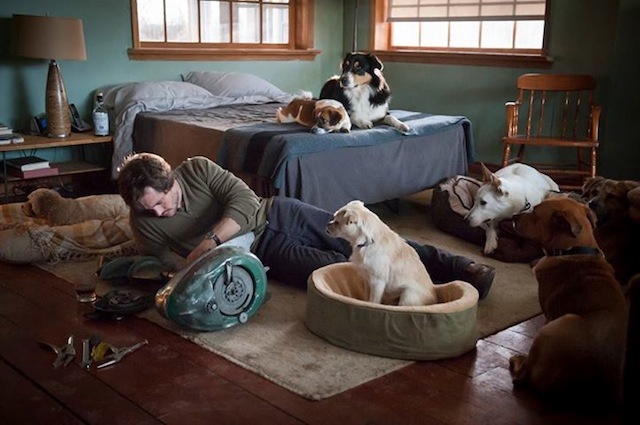 Even when the critical community went from rolling their eyes to singing its praises in the run-up to the premiere, the show’s soft launch all-but sealed Hannibal’s fate as a fan favorite with not nearly enough fans. Two reasons come to mind for what has made increasing the show’s viewership so hard. Primary among them is the heavy-emphasis on serialization. Skin angels and human instruments might put asses in the seats, but Hannibal is a character study first and foremost, which isn’t the kind of show that’s easy to jump in on late in the game, especially when the characters being studied are this twisted. You’ll notice the marketing for the show places a heavy emphasis on Will’s sanity, with just about every week describes it as being “on the edge,” or “in danger.” This is in many ways a misrepresentation, or a misguided summation of his actual arc, but it’s a much sexier pitch compared to trying to sum up the show’s contemplations on the nature of violence in a 15-second ad. 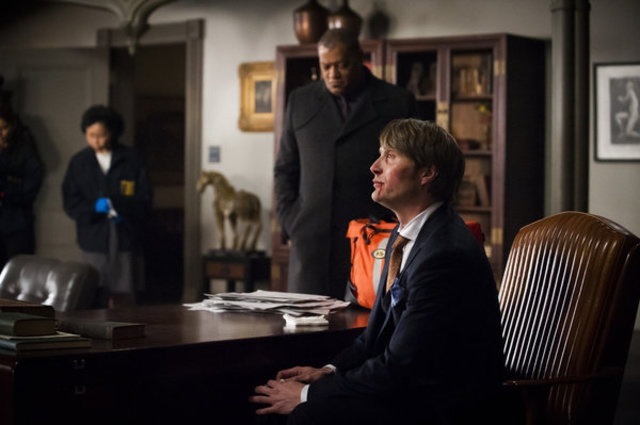 The bigger gamble was with how the show has chosen to handle its title character, a risk that has paid off enormously from a creative perspective, though at the expected cost of making Hannibal less accessible than it already is. I mean, if you were running a show based and titled off of one of fiction’s most famous murderers, how long would you wait to put him into action? 40 minutes? 5 minutes? Hannibal had the cojones to wait a full six episodes before letting Dr. Lecter off the leash, and while last week’s gruesomely sweet montage made up for lost time, the show was basically setting itself up for financial failure by intentionally withholding on quickie blood ‘n guts thrills that get people to watch dozens of acronym-based murder procedurals in droves. And that’s the real thing that makes Hannibal’s continued existence on television unbelievable: that a program this sensual can somehow exist on a major network. That might seem like a strong choice of word for a show that’s advanced Will and Alana’s romantic waltz slower than most middle school crushes, but I use it in reference to the show’s ability to play on all the senses, not just the ones originating south of the 49th parallel. When Will violates the first commandment of horror movies (Thou Shalt Not Go Into The Creepy Basement Alone), well aware that the orchestra killer is waiting for him, modern entertainment standards dictate that keeping the prey and predator apart is boring, so you’d assume a frantic encounter would be imminent. Hannibal rebukes this notion, relying instead on measured, methodical pacing to get the job done the way it always has this season. Tension isn’t about pulling back the curtain to find a maniac holding a knife; tension is about slowly approaching the curtain, and feeling the grime and dust under your feet, as a dim fluorescent bulb buzzes in your ear, and you catch a glimpse of what you swear might be human intestines draining in a sink. The closer you get to the curtain, the more you should be wondering if you really want to pull back the thin piece of fabric that’s separating you from whatever’s on the other side. This is the sort of stuff most horror films don’t seem to understand, let alone TV shows, but Hannibal’s ability to deliver thrilling set pieces like the basement scene each week are what makes it feel like such a breath of fresh air; it gets to be refined and revolting at the same time.